Alina Klimkina is a labor and employment attorney in Dinsmore's Louisville office. Alina represents a variety of clients in all areas of employment law, including pre-litigation investigations, litigation and appeals. She also handles agency investigations, including proceedings before the Equal Employment Opportunity, the Kentucky Commission on Human Rights and the Kentucky Division of Unemployment Insurance. She works with clients ranging from large Fortune 500 companies to local entrepreneurs to public sector employers in handling complex issues involving Title VII of the Civil Rights Act, the Americans with Disabilities Act, the Age Discrimination in Employment Act and other state and federal employment statutes at every stage of the litigation process. 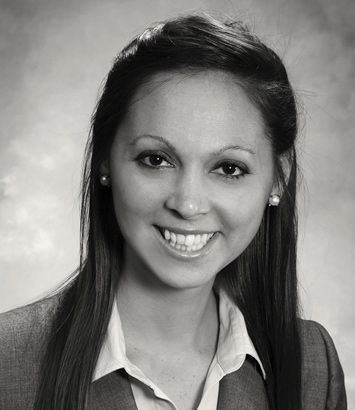 Alina has experience counseling and defending corporate directors and officers. Knowing that labor and employment law is constantly evolving, Alina makes it a priority to offer proactive counsel and ensure compliance. She has conducted training for her clients relating to a variety of issues, including Title VII and the Fair Labor Standards Act. She has also authored several articles for various publications on issues involving employment and labor law. Prior to joining the firm, Alina served as a law clerk to Judge Edward B. Atkins, United States Magistrate for the Eastern District of Kentucky. She is also fluent in Russian and Ukrainian.